Since 2006, Pro-Ject Audio Systems has been bringing its idea “less is more” mission to the digital world. Inspired by the new possibilities of the iPod and high-quality music reproduction from a PC or laptop, Pro-Ject Audio Systems has designed a complete new and revolutionary range of micro high-end Hi-fi components under the family name BOX DESIGN. 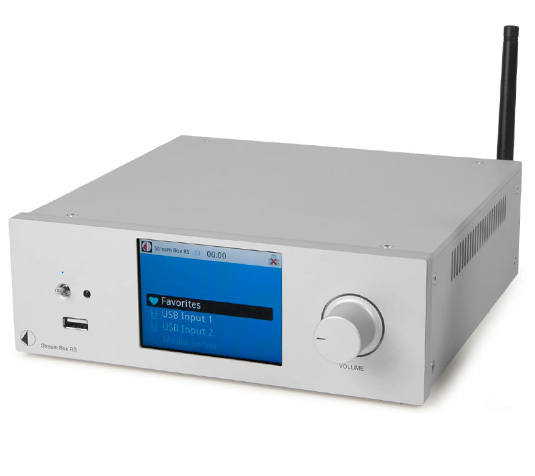 Starting with the smallest audiophile amp in the world, with open and euphonic sound, Pro-Ject Audio Systems now produces all of the components of traditional hi-fi systems including CD players, tuners, phono amps, headphone amps and switching modules, as well as digital products such as docking stations, D/A converters and streamers to connect with the PC wired or wireless. 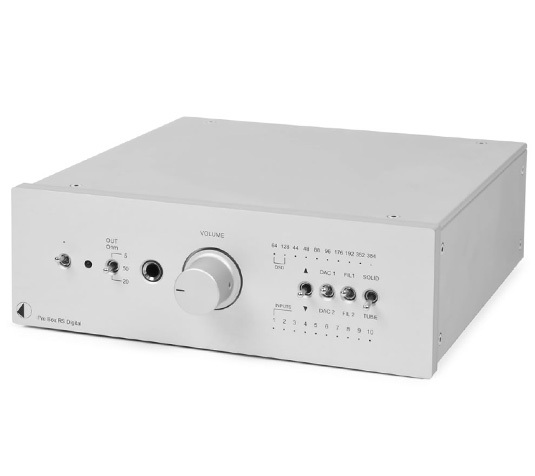 Universal & future-proof high-end pre-amplifier, DAC and headphone amp! Pre Box RS Digital combines all features of DAC Box RS plus a very linear pre-amplifier with both solid-state and tube output stages, that can be selected alternatively. As in all our top-class digital products, we use PCM1792 DAC chips from Texas Instruments, but here we use 2 pieces in a dual differential mode to achieve ultimate fidelity. As a selectable feature a second DAC chip from Texas Instruments is on board, that can handle 32bit/384kHz. A high-class headphone output with selectable impedance for a perfect match to your headphones is also provided. Pre Box Digital RS offers 3-dimensional sound-staging, perfect micro dynamics and ultimate resolution combined with flexibility to use a wide range of digital and 1 analogue sound sources. Perfectly combined with Pro-Ject CD Box RS disc drive, Pre Box RS Digital will give outstanding sound experience, because of a I²S connection provided via RJ45, that is able to give jitter-free disc playback. 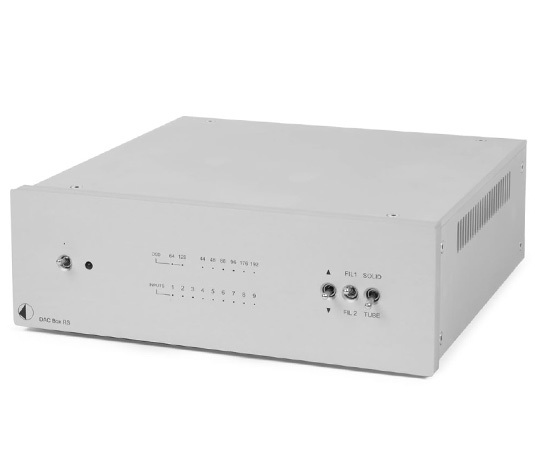 The advanced DAC Box RS is a reference-class D/A converter for all kinds of digital stereo sound sources. It superbly acts as a superior USB audio interface for demanding computer audio, also features AES/EBU input and I²S interface for use with CD Box RS. 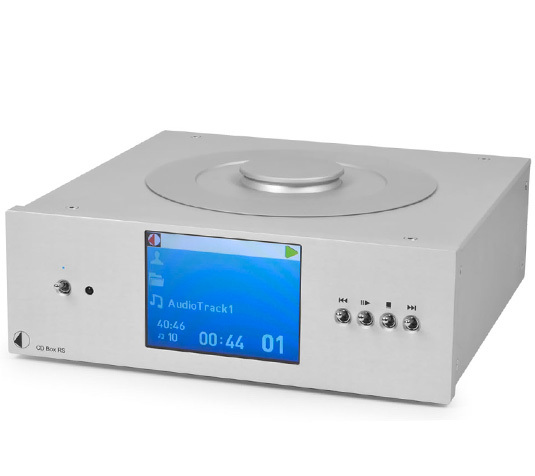 For the engaged audiophile we provide full DSD capability (up to DSD128) over PCM. All inputs fully support 24/192kHz HD music data (optical inputs 96/24) in fully asynchronous mode. Additionally DAC Box RS incorporates a pair of the best audio grade DAC chips, PCM 1792, which only can be found in expensive high-end designs. 2 different digital filter settings are selectable to meet your favourite sound preferences. Additionally we realized that its also depending on customers taste and type of music/recording, what technology for the outputstage is preferable. More warm and relaxed sounding with Tubes or Solid State Class A with limitless details and dynamics. 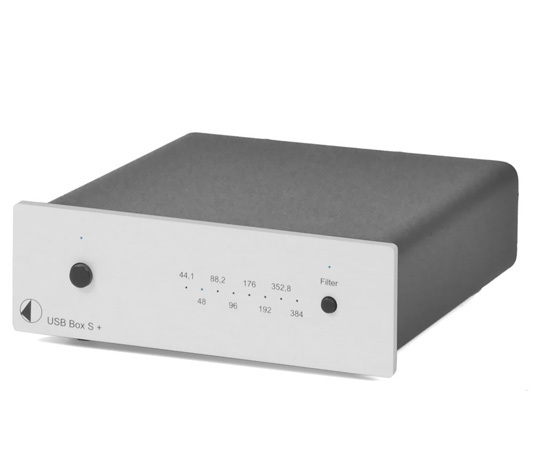 The DAC Box RS has both options to select! Extraordinary audio quality & 24/96 Flac support! High end audio streamer, internet radio & D/A converter. 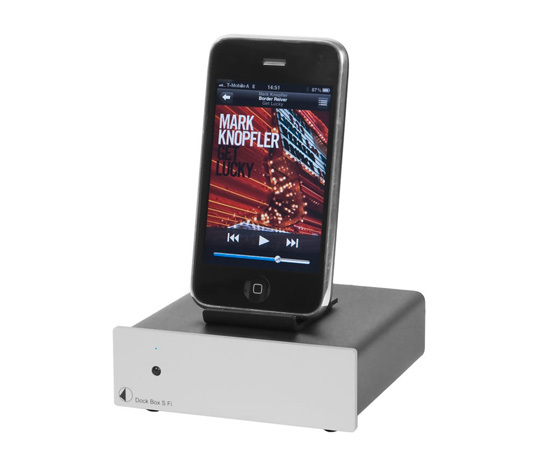 Audiophile Dockings Station for Apple music players! After passing an initial amplifier section, the signal is transferred to the hi-fi system with an impedance lower than 15 ohms. This guarantees trouble-free signal transmission with ultra-flat frequency response and offers the best, most cost-effective way to build an audio system around an iPod. 32bit / 384kHz premium quality for advanced USB computer audio! USB Box S+ uses the most advanced features and technologies in USB asynchronous data transfer based on a highend XMOS chipset. Inside is a PCM5102A DAC from Burr-Brown, which is able to deliver very good signal to noise ratio, very good dynamic range, low distortion and very low output im-pedance. USB Box S+ upsamples data on 352.8kHz or 384kHz (44.1kHz, 88.2kHz & 176.4kHz are upsampled on 352.8kHz. 48, 96 & 192kHz are up-sampled on 384kHz). Because of 32bits/384kHz hires-capability of Pro-Ject USB Box S+, all computers, which are using Windows, Apple or Linux operating systems can be used as real HD audio source.